The All-New X-Men meet the Indestructible Hulk and the Superior Spider-Man! Doctor Octopus confronts the time-displaced young X-Men, but how is he alive?! 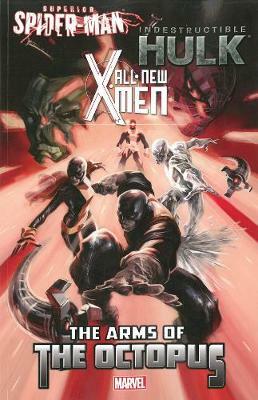 Ock's appearance gets the immediate attention of the Superior Spider-Man (who we all know is Doc Ock's mind in Spider-Man's body), and Bruce Banner helps Spidey and the young X-Men investigate the mysterious paradox. Collecting: All-New X-Men Special 1, Superior Spiderman Team-up Special 1, Indestructible Hulk Special 1, Wolverine: In The Flesh 1.